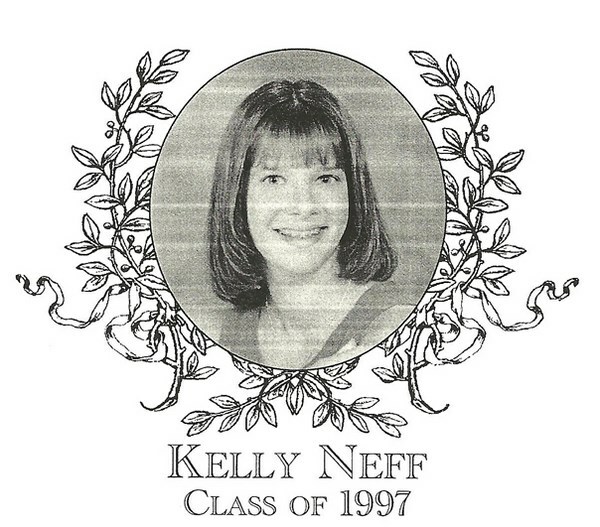 Kelly Neff, Class of 1997, was a true three-sport star in her years at Bartlett High School. She earned an impressive twelve varsity letters during her time. She took part in soccer, basketball, and track and field and became a reliable athletic leader throughout her high school years. She was a member of the Lady Indian�s soccer team and basketball team when she was still in junior high. She was named captain of both teams during her senior year. In soccer, she was an outstanding stopper who played a major role in propelling the Lady Indians into the State finals. Kelly was also named soccer Border Conference All-Star. In her sophomore year, Kelly joined the Track & Field team and was their captain her junior and senior years. Kelly�s greatest accomplishments took place on the basketball court where 1,000 seemed to be her magic number. Kelly became a 1,000-point scorer and was responsible for over 1,000 rebounds by the end of her basketball career at Bartlett High. Kelly�s team captured the District title two years in a row and competed in the State Tournament as well. She is a member of the 1994-1995 Girls� Basketball Team, which is also being inducted with this year�s Hall of Fame class. Her achievements were not limited to the court or the field, but to the classroom as well. In addition, she was a member of the National Honor Society during her senior year. At Assumption, Kelly continued to play basketball throughout her four years there. She was a four-year varsity player for the Greyhounds and was named the most coachable student-athlete during her sophomore year. Kelly is now an account executive for the Staples Corporation and lives in Millis with her family.